As we begin a new year, it is good to reflect back on what we have accomplished while also examining areas we can improve upon going forward. Here are thoughts to consider as you develop your own resolutions related to your work in Student Affairs. Modesty is key; be humble. Open your mind and listen more. Seek out feedback while implementing changes. Engage in positive thought for encouragement. Help yourself by helping others succeed. Forward thinking encourages positive change. Embrace and foster a shared vision. Nothing is impossible when you put trust in yourself and others. Recognize the value and talent in quality staff. Get out of your head and into the now; live fully in the moment. Don’t pop bubbles; think outside of your own bubble and inside others. Challenge yourself to examine issues from multiple perspectives. Re-evaluate your strengths, weaknesses, opportunities, and threats (SWOT). Set attainable and result-driven goals for you and your team. Focus your energy around creative collaboration. Encourage on-going and engaged teamwork and development. Don’t like something? Then change it. Check your attitude at the door, while holding that door open for others to shine. Use that which you receive efficiently. Simplify daunting tasks; let go of some rigidity. Manage your time efficiently; prioritize. Be good to and take care of yourself. Discover something new about yourself and others. Smile, laugh, and then laugh some more. Do the footwork it takes for the team to be successful. Don’t settle for the quick fix, find a long-term solution. Take value in the presence and work of others. Be innovative while encouraging team synergy. Patiently respond rather than immediately reacting. Always give the best you possible. Learn to say NO when you are overwhelmed. See opportunity where others see uncertainty. Empower those you lead by embracing change and unconventional thinking. Focus on your strengths by leaving your weaknesses. Breathe deep and let go of lingering frustrations. Be yourself and let others see the real you. Be deliberate and reach out to those you lead. Inspire others to exceed your expectations. Maintain a healthy balance of positivity and honesty. Acknowledge and address problems straight away. Emerge from uncertainty stronger than you went in. Seek out opportunities to learn and grow as a professional. Look back to remember but forward to inspire. Listen to and accept constructive criticism. 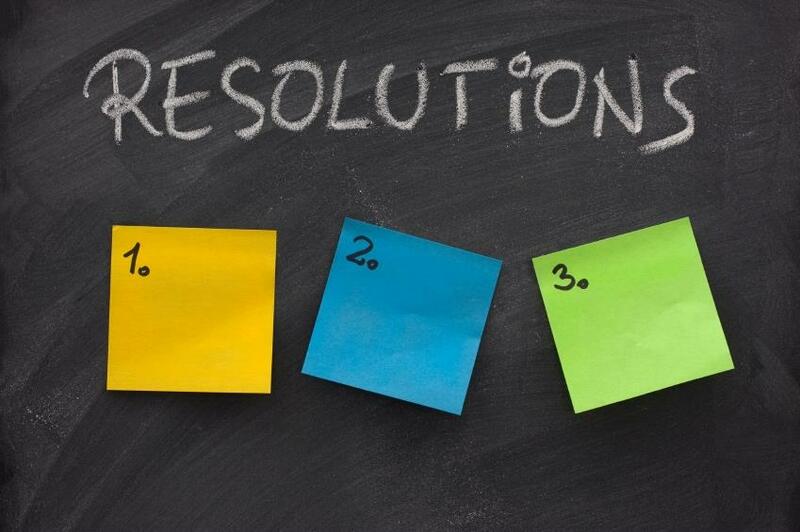 What specific resolutions are you working on related our profession? Please share your comments below. If you liked this article, please Like and/ or Share it on Facebook and Retweet on Twitter. This entry was posted on Thursday, January 2nd, 2014 at 9:54 am and is filed under Leadership. You can follow any responses to this entry through the RSS 2.0 feed. You can leave a response, or trackback from your own site.